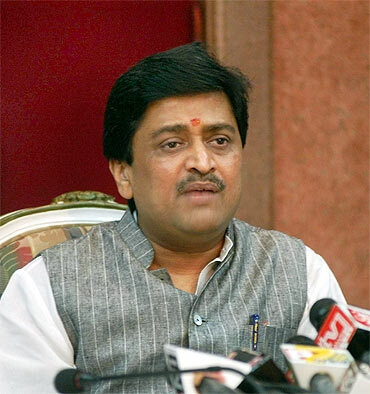 Maharashtra former chief minister Ashok Chavan, charge-sheeted in the Adarsh scam, on Wednesday looked set to be let off the hook, with the Central Bureau of Investigation moving a special court seeking approval to drop his name as an accused in the case following governor's refusal to sanction his prosecution. Special Public Prosecutor Bharat Badami filed an application before CBI court judge S G Dighe requesting him to allow it to remove Chavan's name from the list of 13 accused charge-sheeted in the case, citing the governor's decision, which it said was "non-appealable". The court reserved its order on the application for Saturday. Acceptance of the CBI's plea by the court would come as a huge relief for both Congress and Chavan, the only former chief minister to have been made accused in the case though two of his predecessors --Vilasrao Deshmukh and Sushilkumar Shinde -- were also under the lens. Deshmukh has since died. A judicial commission of inquiry set up by the state government had indicted all three for "blatant violations" of statutory provisions in granting various clearances to the scam-tainted Adarsh housing society. The judicial panel's report had said, "There was certainly a nexus between the acts of Chavan and benefits derived by his close relatives. The membership process clearly indicates that grant of requisite permission by Chavan was by way of quid pro quo." Chavan, 55, who had to step down as chief minister after the scam surfaced, had challenged his inclusion in the charge sheet on the ground that no sanction for prosecution had been obtained from the governor. The CBI had maintained that since he was a former chief minister at the time of being charge-sheeted, gubernatorial approval was not required. The court had, however, directed the agency to get sanction for Chavan's prosecution which was denied by Governor K Sankaranarayanan, apparently leaving the CBI with little choice but to close the case against him. The CBI had alleged in its charge sheet that Chavan had increased the floor space index of the controversial Adarsh society in return for flats for his relatives. Chavan as revenue minister had also asked the housing society to include 40 per cent members from civilian category despite it being originally meant only for war veterans, CBI had alleged, claiming Chavan played a key role in the scam. Chavan's mother-in-law Bhagvati Sharma, sister-in-law Seema Sharma and father-in-law’s brother Madanlal Sharma have flats in the society. All of them have been held ineligible by the judicial panel to own flats in the society. In its charge sheet filed by July 2012, the CBI had accused Chavan and 12 others of criminal conspiracy, cheating and criminal misconduct under Indian Penal Code and also under Prevention of Corruption Act. The court is, however, yet to take cognisance of the charge sheet. Subhash Ghai's Whistling Woods to down shutters?